Get Outdoors, Snap a Pic, and Be Part of Something Big! Everyone knows Girl Scouts looove the outdoors. There’s just so much good waiting for us in every breath of fresh air, every ray of sunshine, every interaction with the magic of nature, and we revel in every minute of it. Whether we’re protecting the environment or just having fun, getting outside is definitely one of our favorite things to do. And spending time outdoors isn’t only fun—it’s also critical for our physical and emotional health. Whether you can get outdoors once a month, twice, three times, or more, every single adventure in nature has a positive impact on you. That’s why we’re teaming up with the National Park Service to encourage girls to take advantage of everything the great outdoors has to offer—friendship, adventure, learning, and fun await! This spring, grab your Girl Scout forever-friends and head outside to discover the possibilities. Then share your experiences with Girl Scouts all over the country! That’s right. Now through June 30, you can be part of the largest Girl Scout photo collage in the world. It’s easy! First, find your park, and then learn more about visiting national parks with Girl Scouts. Every time you visit a national park, snap tons of photos to capture the fun, learning, and impact of your trip. 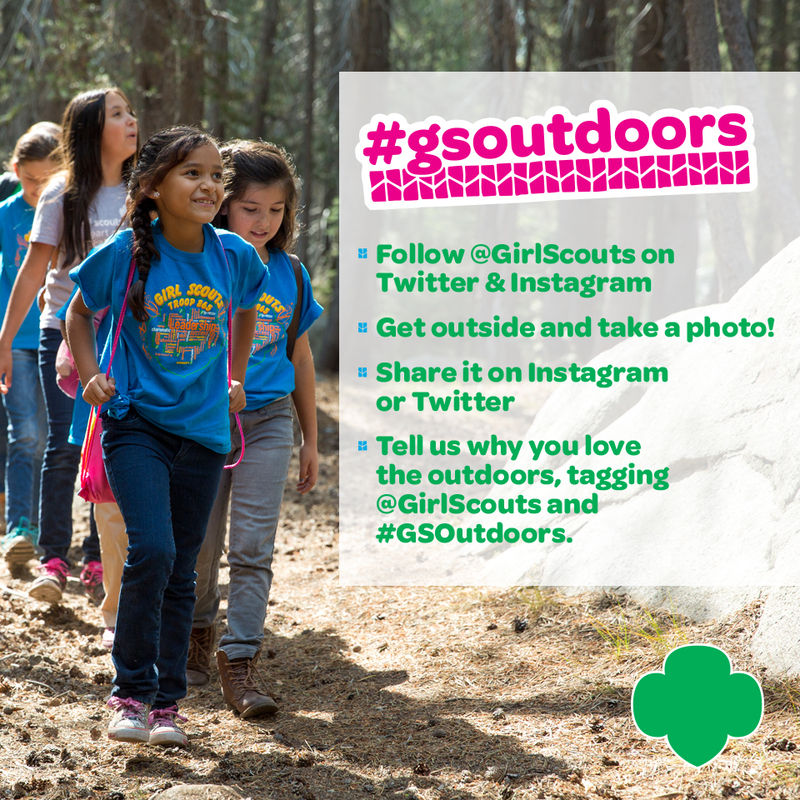 Then share your best shots on Instagram and Twitter using #gsoutdoors. To see your photo(s), visit girlscouts.org/gsoutdoors and use the interactive trefoil map—awesome! Make sure to check out how other Girl Scouts across the country are enjoying their trips to national parks, too. What do you say? Will you get out to the park and be part of this incredible display of love for our great outdoors and for all the amazing things it has to offer us? We can’t wait to see all your amazing photos!